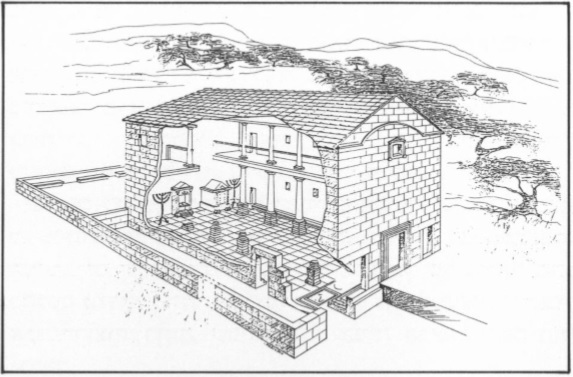 Chen, D. "The Design of the Ancient Synagogues in Galilee" Liber Annuus 36, 1987: 235-240. Chen, D. "The Ancient Synagogue at Nabratein: Design and Chronology" Palestine Exploration Quaterly 119, 1987: 44-49. Chen, D. "Antike Synagogen in Palastina; Anlage und Datierung der Synagoge von Horvat Rimmon" Judaica 45, 1989: 57-67. Chen, D. "Dating Synagogues in Galilee; On the Evidence from Meroth and Capernaum" Liber Annuus 40, 1990: 349-355. Chen, D. "On Planning of Synagogues and Churches in Palaestini: A Comparison with Syria and Illyricum" Christian Archaeology : 523-534. Chiat, M.J. A Corpus of Synagogue Art and Architecture in Roman and Byzantine Palestine. Thesis. University Microfilm International, University Microfilm International, 1979. Chiat, M.J. "First Century Synagogue Architecture: Methodological Problems" in Ancient Synagogues. The State of Research. ed. J. Guttman, Ann Arbor, 1981: 49-60. Chiat, M.J. Handbook of Synagogue Architecture. Brown Judaic Studies 29, Chico; California, 1982. Chiat, M.J. "Synagogue Chronology: A New Hypothesis" American Journal of Archaeology 88/2, 1984: 240. Chiat, M.J. "Thing or Symbol? Art in the Early Synagogue and Church" Arts: The Arts in Religious and Theological Studies 6, 1994: 13-21. 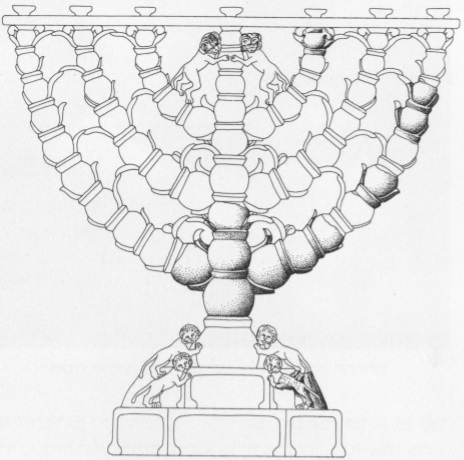 Chiat, M.J. "Synagogue and Church Architecture in Antiquity; A Comparative Study" in Proceedings of the Eighth World Congress of Jewish Studies. Jerusalem, 1982-1984: 37-44. Claussen, C. "Meeting; Community; Synagogue - Different Frameworks of Ancient Jewish Congregations in the Diaspora" in The Ancient Synagogue from Its Origins until 200 C.E. ed. B. Olsson and M. Zetterholm, Stockholm, 2003: 144-167. Clermont-Ganneau, C. "Archaeological and Epigraphic Notes on Palestine" Palestine Exploration Fund Quarterly Statement 1903: 131-135. Clermont-Ganneau, C. "Decouverte ? Jerusalem d'une synagogue de l'epoque herodienne';" Syrie 1, 1920: 190-197. Cohen, S.J.D. "Epigraphical Rabbies" Jewish Quarterly Review 72, 1981: 1-17. Cohen, S.J.D. "The Temple and the Synagogue" in The Temple in Antiquity. Religious Studies Monograph Series 9, Utah, Brigham Young University, 1984: 151-174. Cohen, S.J.D. "Pagan and Christian Evidence on the Ancient Synagogue" in The Synagogue in Late Antiquity. ed. L. I. Levine, New York, 1987: 159-181. Cohen, S.J.D. "Were Pharisees and Rabbis the Leader of Communal Prayer and Torah Study in Antiquity? The Evidence of the New Testament ; Josephus and Early Church fathers" in Evolution of the Synagogue Problems and Progress. ed. H.C. Kee and L.H. Cohick, Harrisburg, 1999: 89-105. Cohen, A. "The Celestial Host; the Calendar and Jewish Art" in Written in the Stars. Art and Symbolism of the Zodiac. ed. I. Fishof, Cataloge No. 452, Jerusalem, The Israel Museum, 2001: 11-18. Conder, C.R. and Kitchener, H.H. "Galilee. Memoirs of the topography orography; hydrography" in The Survey of Western Palestine; 1. London, Palestine Exploration Fund, 1881. Corbett, J.H. "New synagogue excavations in Israel and beyond" Biblical Archaeology Review 37;4, 2011: 52-59. Corbo, V. "L'Herodion Di Gebal Fureidis" Liber Annuus 13, 1963: 219-277. Corbo, V. "La Sinagoga di Cafarnao dopo gli scavi del 1972" Liber Annuus 22, 1972: 204-235. 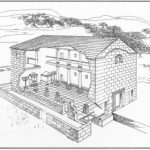 Corbo, V. "Edifici antichi sotto la sinagoga di Cafarnao" in Studia Hierosolymitana 1. ed. I. Mancini end M. Piccirillo, Jerusalem, 1976: 159-176. Corbo, V. "La Citta romana di Magdala" in Studia Hierosolymitana 1. ed. I. Mancini end M. Piccirillo, Jerusalem, 1976: 365-368. Corbo, V. "Sotto la sinagoga di Cafarnao un'insula della citta" Liber Annuus 27, 1977: 156-157. Corbo, V. "Ripreso a Cafarnao lo Scavo della citt?" Liber Annuus 32, 1982: 427-446. Corbo, V. "Resti della sinagoga del primo secolo a Cafarnao" in Studia Hierosolymitana 3. ed. G.C. Biottini, Jerusalem, 1982: 313-357. Cotton, H. et al. Corpus Inscriptionum Iudaeae/Palaestinae. 1, 2010: 9. Crowfoot, J.W. and Hamilton, R.W. "The Discovery of a Synagogue at Jerash" Palestine Exploration Quaterly 61, 1929: 211-219. Damati, E. The Meroth Synagogue and its implication on the Chronology of Galilean Synagogues. MA Thesis, Jerusalem, Hebrew University, 2000, (Hebrew). Damati, E. "Akbara - 1988" Hadashot Arkheologiot 94, 1989: 11-12, (Hebrew). Dar, S. and Mintzker, Y. "The Synagogue of Hurvat Sumaqa" in Ancient Synagogues in Israel; Third-Seventh Century C.E. ed. R. Hachlili, Bar International Series 499, Oxford, 1989: 17-20. Dar, S. "Sumaqa" The New Encyclopedia of Archeological Excavations in the Holy Land. 1993: 1412-1415. Dar, S. and Mintzker, Y. "The Synagogue of Horvat Sumaqa; 1983-1993" in Ancient Synagogues; Historical Analysis and Archaeological Discovery. ed. D. Urman and P.V.M. Flesher, Vol. 1, Leiden, 1995: 158-165. Dar, S. Sumaqa - A Roman and Byzantine Jewish Villge on Mount Carmel; Israel. BAR International Series 815, Oxford, 1999. Dar, S. Raqit; Marinus Estate on the Carmel; Israel. Bar International Series 1300, 2004. Degen, R. "An Inscription of the Twenty-Four Priestly Courses from Yemen" Tarbiz 42, 1973: 300-303, (Hebrew). Deines, R. "God’s Revelation Through Torah, Creation, and History: Interpreting the Zodiac Mosaics in Synagogues" in Jewish Art in Its Late Antique Context. ed. U. Leibner and C. Hezser, Tubingen, Mohr Siebeck, 2016: 155-188. Demsky, A. "The Permitted Villages of Sebaste in the Rehov Mosaic" Israel Exploration Journal 29, 1979: 182-193. Dequeker, L. "L'iconographie du Temple de Jerusalem dans les synagogues de l'antiquite en Palestine et en Syrie" Jerusalem dans les traditions juives et chretiennes colloque 1982: 33-35. Dequeker, L. "Le zodiaque de la synagogue de Beth Alpha et le Midrash" Bijdragen: Tijdschrift voor Filosofie en Theologie 47;1, 1986: 2-30. Dequeker, L. "Le prophete Elie dans l'iconographie juive ancienne" Elie le prophete : 137-154. Di Segni, L. "The Greek Inscriptions" in The Sepphoris Synagogue. Deciphering an Ancient Message through Its Archaeological and Socio-Historic Contexts. Jerusalem, 2005: 209-216. Di Segni, L. "The use of chronological systems in sixth-eighth centuries Palestine" ARAM 18-19, 2006-2007: 113-136. Di Segni, L. "Ẓur Nathan (area of Khirbet Majdal). Mosaic inscription, later Roman Imperial period." Supplementum Epigraphicum Graecum 42, 1995: 436-437 no. 1474. Di Segni Campagnano, L. "The Greek Inscriptions in the Samaritan Synagogue at el-Khirbe With Some Considerations on the Function of the Samaritan Synagogue in the Late Roman Period" in Early Christianity in Context- Monuments and Documents. ed. F. Manns and E. Alliata, Jerusalem, 1993: 231-239. Dotan, M. "Hamat Teveriya" The New Encyclopedia of Archeological Excavations in the Holy Land. 1993: 573-577.